In her first major magazine editorial, the York University student (she’s studying English literature) and her equally stylish friends modeled the high-fashion fall collections of Dior, Chanel, Louis Vuitton, Prada, and Fendi. We found the British beauty on Instagram, and according to her posts, the It girl in the making seems to have an eye for the artistic and a knack for photography. Ellie has attended fashion shows with her iconic aunt in the past, and we wouldn’t be one bit surprised if Anna is a role model of hers. 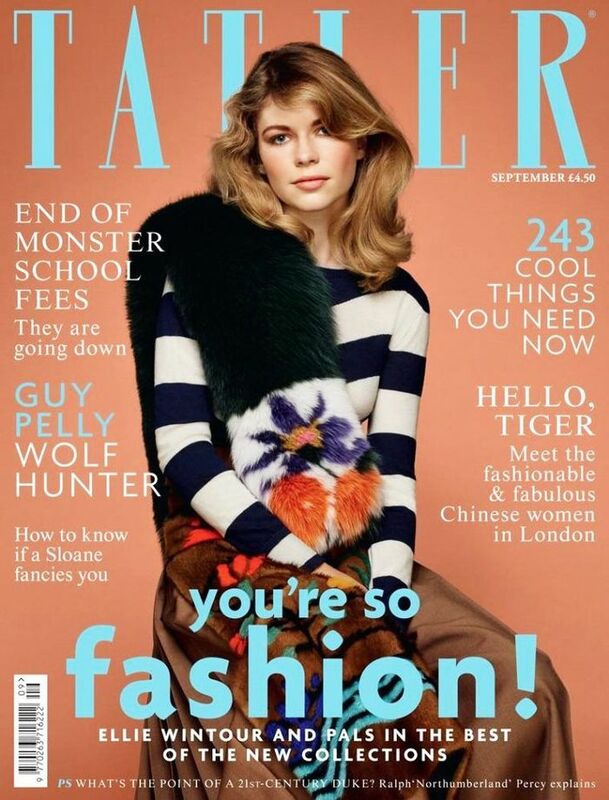 Read on to see the cover and Ellie Wintour modeling some of the luxurious garb, and head over to Tatler for more! Love Wintour’s fur stole from her Fendi cover look? Shop a slightly wallet-friendlier (yet equally stylish) version.